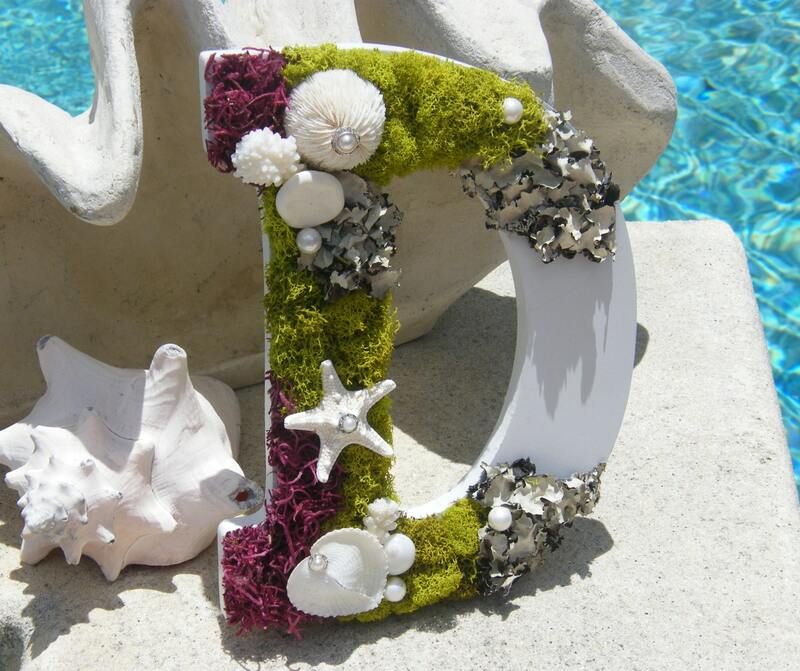 Moss letter with seashells - for weddings, special occasions and your coastal, nautical home decor. 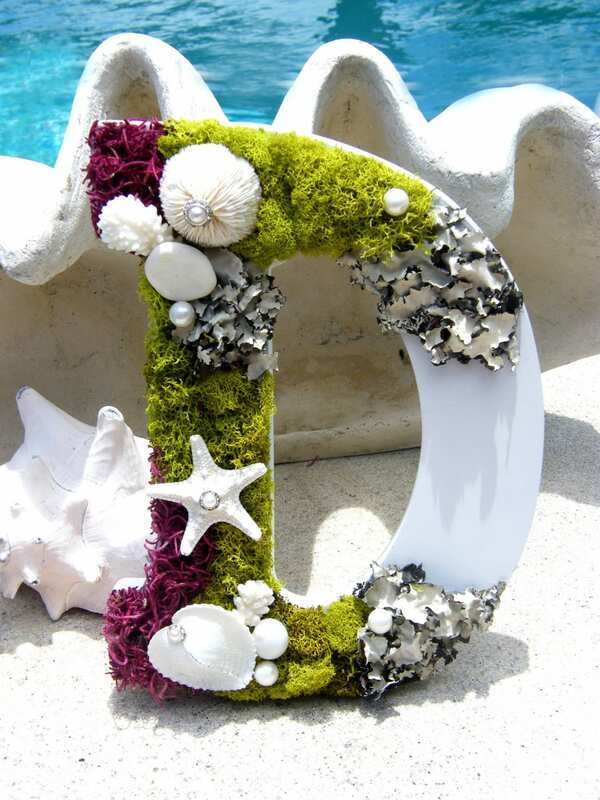 A variety of mosses in brilliant greens and magentas along with seashells adorn wooden letters - beautiful for weddings, special occasions or just your coastal home decor. 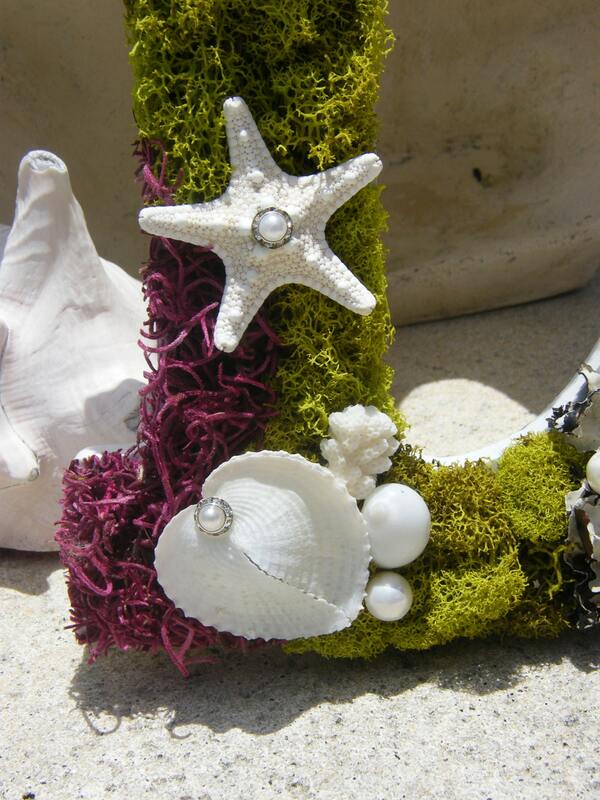 You've seen letters with moss and you've seen letters with seashells. 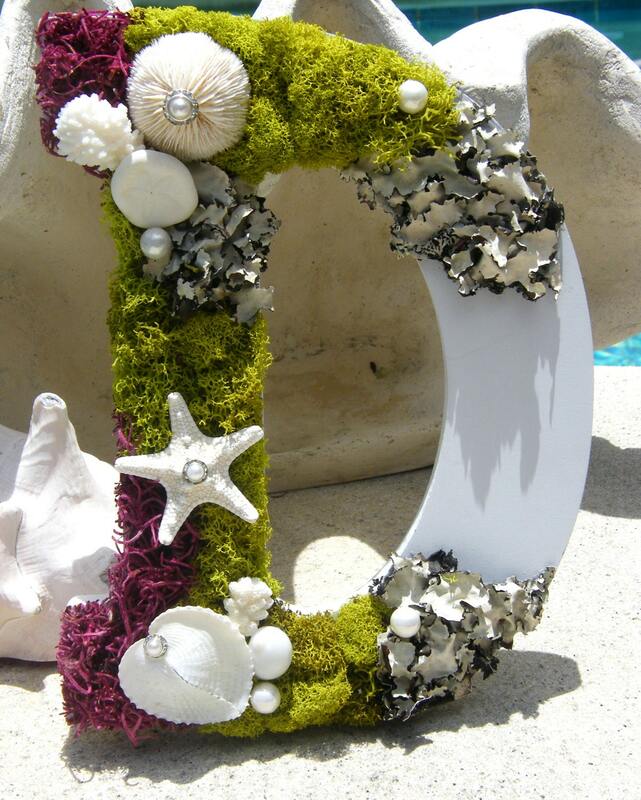 Seashell Galleria even has some beautiful examples, but you've never seen letters with both!! Such a beautiful combination! 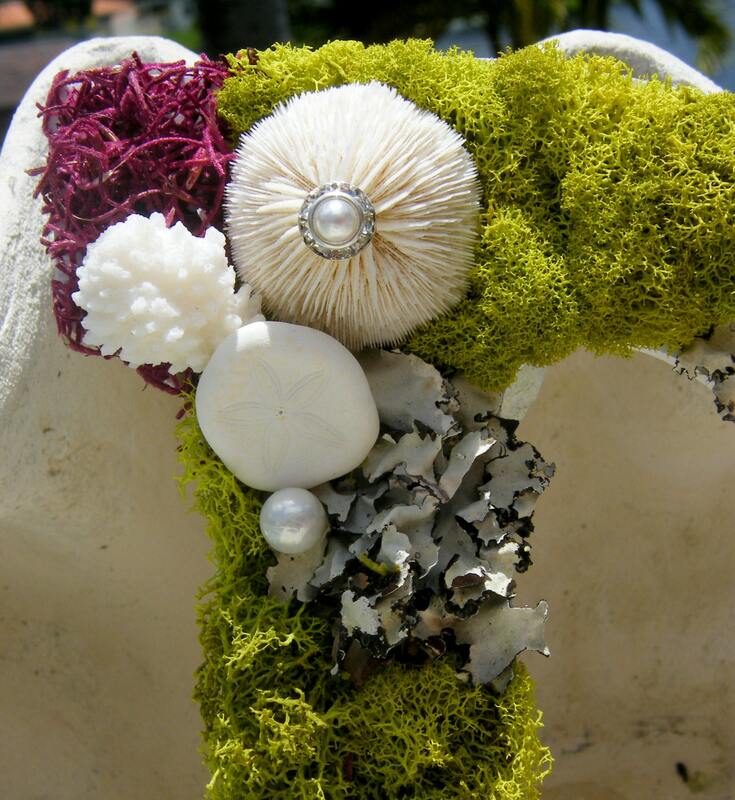 Each letter is unique and will vary with the mix of mosses and shells while trying to maintain the integrity of the original design! :) Your purchase is made-to-order to allow 5-7 business days to ship. Payments are accepted through PayPal where you can pay by money transfer or credit/debit cards. This ensures a safe and secure transaction for all concerned. Items, with the exception of special orders, will be shipped within three business days of payment. Each item I send will be carefully boxed. Typically, items will be shipped via FedEx, UPS or USPS. Insurance will be included to cover any potential damages although every precaution will be exercised to avoid this. Will only ship to Pay Pal registered address. I am not responsible for international customs or VAT fees. If you are outside the United States I will happily sell and ship to you but I would need to get an estimate on the cost of shipping first. It is very important that my customers are satisfied. If you have any concerns, please email me immediately and we can find a resolution. Anyone requesting International shipping should contact me immediately to discuss.